It looks like Microsoft’s online store has ended up leaking Darksiders III‘s release date. 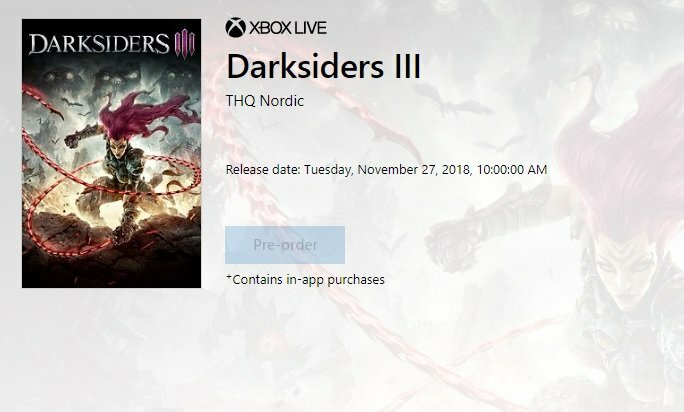 According to a listing found by TrueAchievements (still up at the time of this writing), the THQ Nordic title will be out on Tuesday, November 27. Includes Darksiders III, a special Pre-Order Bonus Armor skin, 2 paid DLCs that will be released post launch of Darksiders III. Also includes Darksiders Warmastered Edition and Darksiders II Deathinitive Edition for the ultimate Darksiders experience. PREORDER INCENTIVE: 24 HOUR early access + 10% discount • Darksiders 1 & 2 will only become playable on 26th November • Darksiders 1 & 2 will only be granted if the titles are available in your region. Includes Darksiders III, a special Pre-Order Bonus Armor skin and 2 paid DLCs that will be released post launch of Darksiders III. 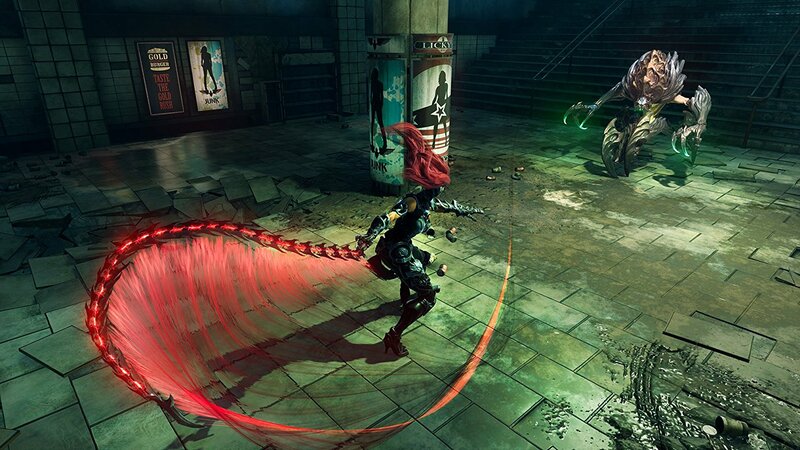 PREORDER INCENTIVE: 24 HOUR early access + 10% discount Return to an apocalyptic Earth in Darksiders III, a hack-n-slash Action Adventure where players assume the role of FURY in her quest to hunt down and dispose of the Seven Deadly Sins. Return to an apocalyptic Earth in Darksiders III, a hack-n-slash Action Adventure where players assume the role of FURY in her quest to hunt down and dispose of the Seven Deadly Sins. Includes Darksider III and a special Pre-Order Bonus Armor skin. As usual, take everything with a grain of salt until we have official confirmation. We’ll keep our readers posted.